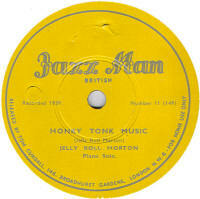 British 78rpm record labels whose name begins with J. Using the letter links below you can see pages for other letters. 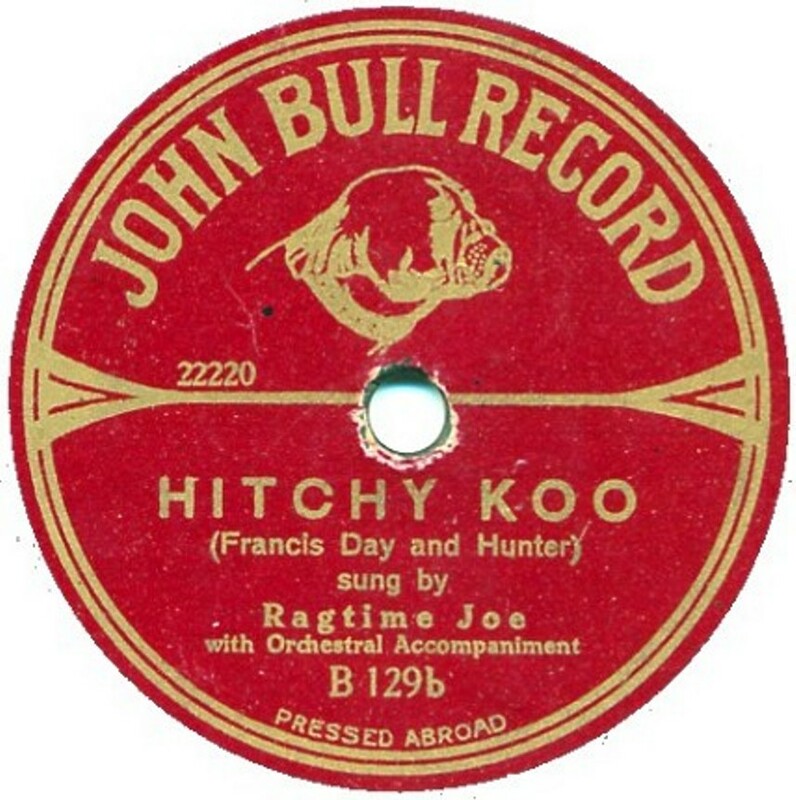 Jamco Jamco Records of 18, King Street, Wigan were produced by Wm. Grimes of Wigan and specialosed in Brass Band recordings. Bill Gaskell, formerly manager of Wingates Temperance Band started this label in March 1950 and Harry Mortimer, the cornet virtuoso was later the musical adviser. Some were recorded off-air BBC broadcasts (with the BBC's permission). The records appear to have been pressed by Levy's Oriole records. Janus Janus records were manufactured in Germany from 1907 to about 1913. 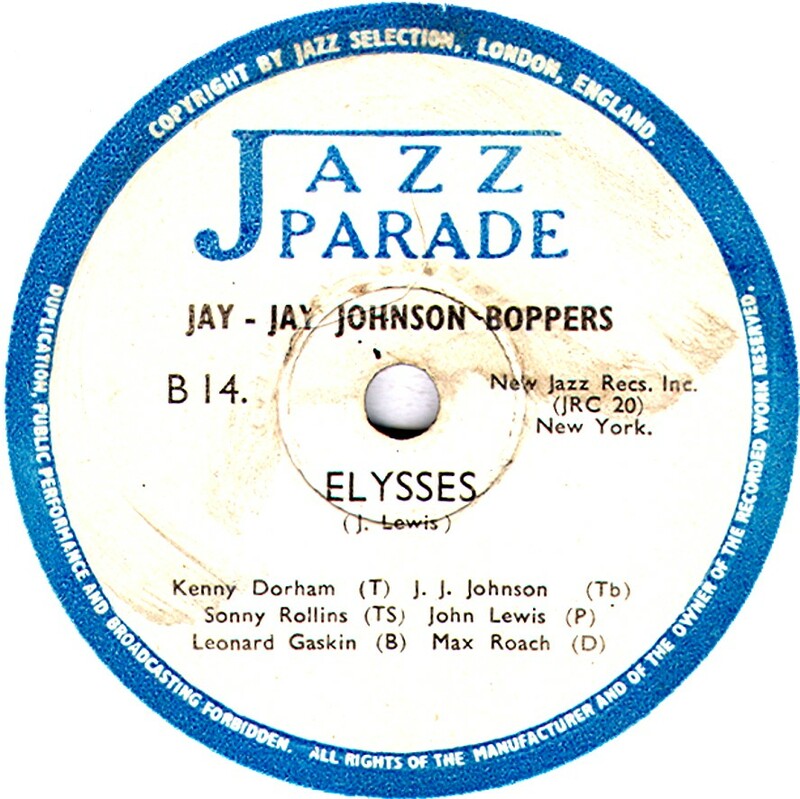 It has been reported that British repertoire appears on Janus records, but Frank Andrews could find no evidence of them having been sold in Britain. The Janus trade mark was registered in Britain in 1912, but may have been for Talking machines only. Jaycee Jaycee records were pressed by Crystalate from their Imperial masters during the mid-1920s. The masters date from around 1926 and the records were sold in the Co-Op. They are pretty rare and the series, which was in a J-100 range, was quite short-lived, probably less than 20 different records. 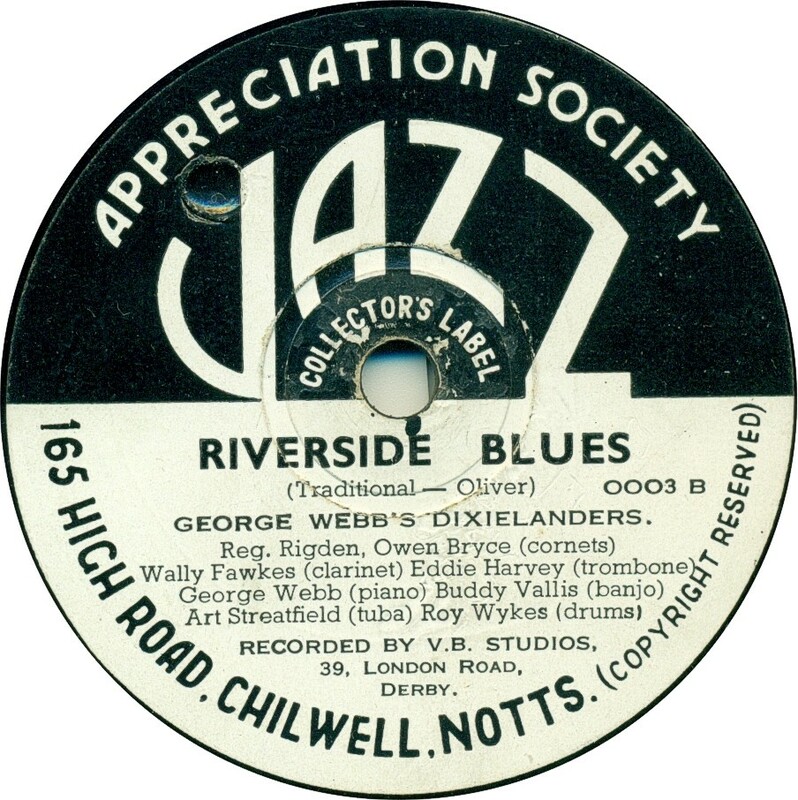 Based on the value on the copyright stamp (5/8d), the records probably cost about 1/6, the same price as the Imperial issues..
Jazz these two labels were produced by the Jazz Appreciation Society of Newark, and both seem to have been short-lived ventures. The green-and-white label reissued some rare 1920s American jazz recordings originally from Paramount, which the black-and-white label issued contemporary recordings, usually of New Orleans jazz. 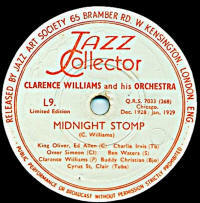 Jazz Collector Founded in May 1949, this label specialized in reissuing rare jazz classics from the 1920s. It was made for the Jazz Art Society of 65, Bramber Road, West Kensington, London. The catalogue numbers started at L-1 and ran for over 100 issues. All were dubs taken from the originals and vary somewhat in quality. The records cost 7/6. Jazz Man The original labe of this name was an American one, dating from the 1940s and produced for the Jazz Man Record Shop in Hollywood. The American label was the same design as the British one, but in green; the British label also has "British" under the label name. The British label, as seen here, was produced by or for Tom Cundall, of Broadhurst Gardens, London. There were 22 different discs and they were issued either during 1950-51. The recordings them selves date from the late 1930s and 1940s. Both the British and American issues are numbered "Number 1" upwards, and most likley the two labels correspond exactly, though there were more than 34 in the American series, a listing of which can be found here. I will only list the British issues based on actual records seen or advertised in the UK, rather than make assumptions that the two series match. 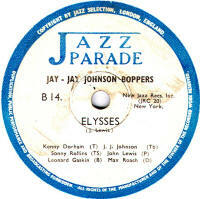 Jazz Parade There were just 16 of these 10" discs issued in 1950 & 1951 and couple of 12" discs as well. The 10" records had a catalogue running from B-1 to B-16 and the 12" had an E-series catalogue. It is believed all were pressed by Decca. 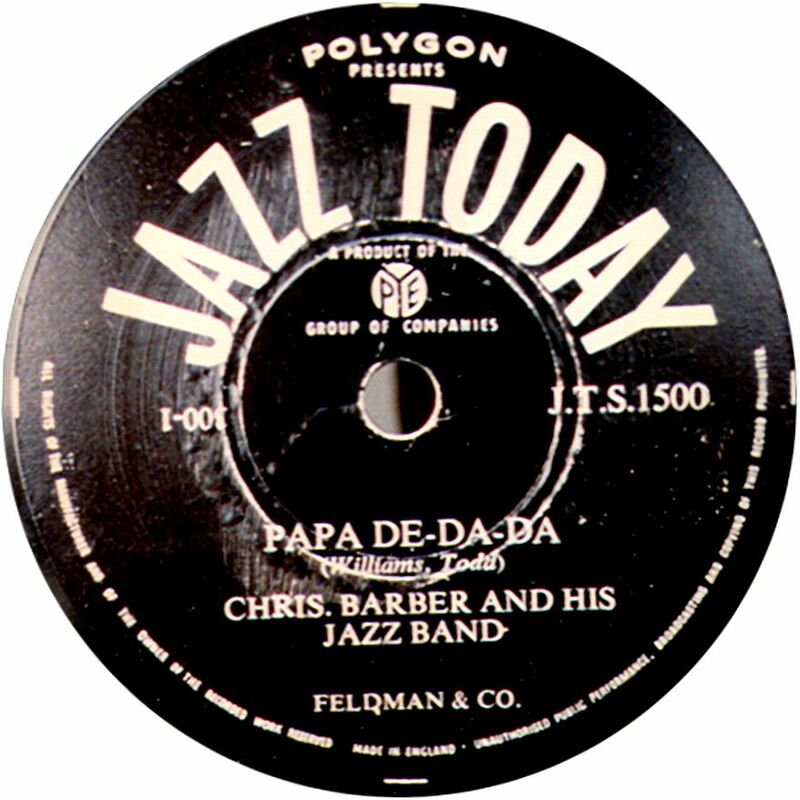 Jazz Today This was a product of Polygon records, a company started by the father of Petula Clark in teh 1950s in order for her to be able to make records. As can be seen from the image, this became (or maybe always was?) part of the Pye group of companies. The recordings were all contemporary. JLCO There is actually no such label by this name. The attractive label pictured on the right is, in realiity ILCO (q.v. ); the letter "I" having a tag at the bottom (which was common in Germany at the time) which makes it look like a "J". 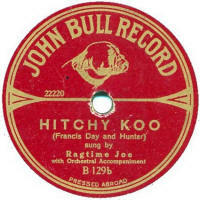 John Bull A very patriotic sounding label, but produced (originally) in Germany on the "tally-man" system for The English Record Company. This was sold door-to-door and the customer would get a "free" gramophone after signing an agreement to buy a set number of records (about 50) over the next year, at 2/6 each. 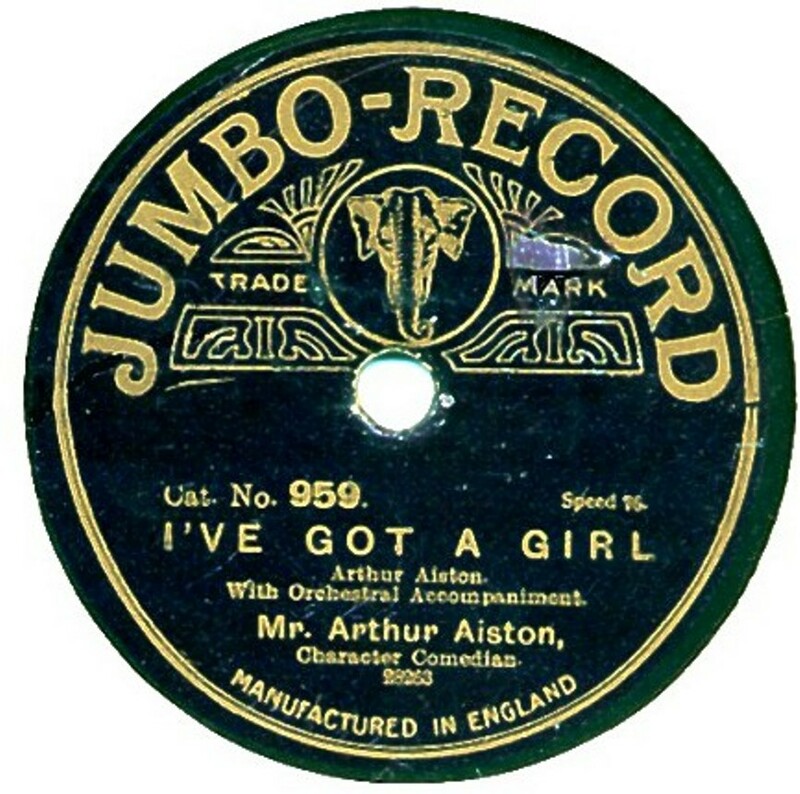 John Bull records first appeared in 1909 using masters from Beka and Favorite, and later on, other German and British companies became involved, until the company ceased in 1913 and all old stock bought by the Albion record Company. It is thought the appearance on the market in mid-1912 of cheap records at 1/6 (Coliseum & Scalla, from the Lindström Company) eventually killed off the tally-man businesses. See "For The Record" issue 5 for Frank Andrews' full report on this label. John King This was a private record company, based in Brighton, believed to date from 1949-50. 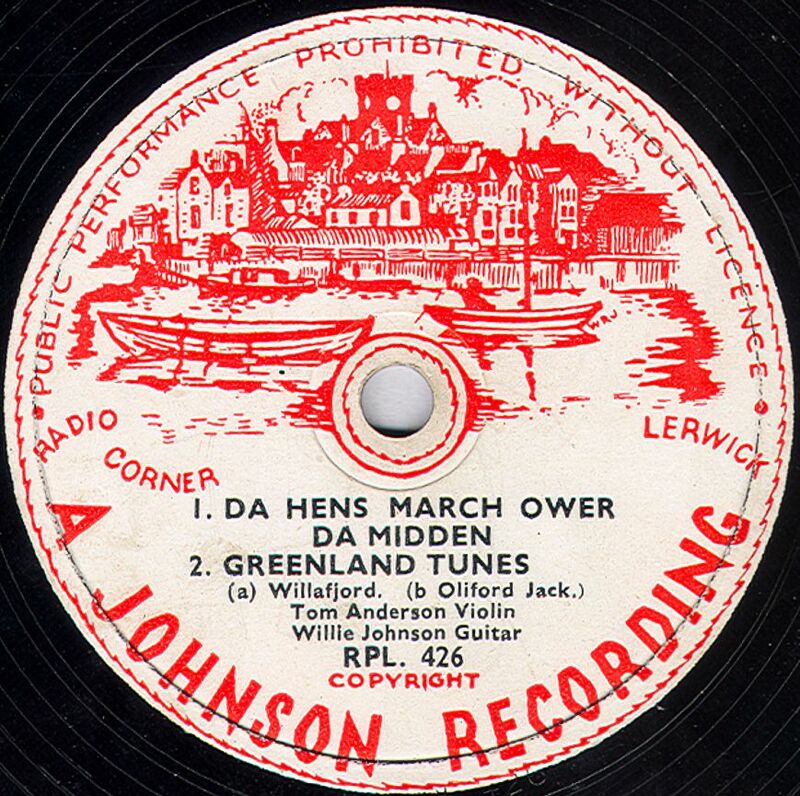 Johnson This was a record label produced by William "Radio Bill" Johnson (1899 - 1954) of Lerwick. Bill Dean-Myatt has dated the few known issues to about 1951. 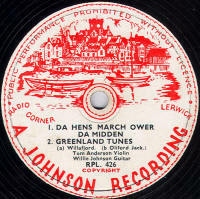 They were recorded in the Shetlands and pressed in London by Recorded Productions Ltd. The records have no catalogue numbers, the only number shown being the master number. Thanks to Bill Dean-Myatt for providing the label photo and information. Jolly Boys A 6" disc recorded and pressed by the Gramophone Company in 1926 using masters also available generally on Homo-Baby. It was short-lived with a catalogue running from 101 to 110. All recordings were acoustic and the dance records are played by an orchestra and in a style more suited to overtures and marches. It is presumed these were made to be sold in a specific store, but it is not currently known which. 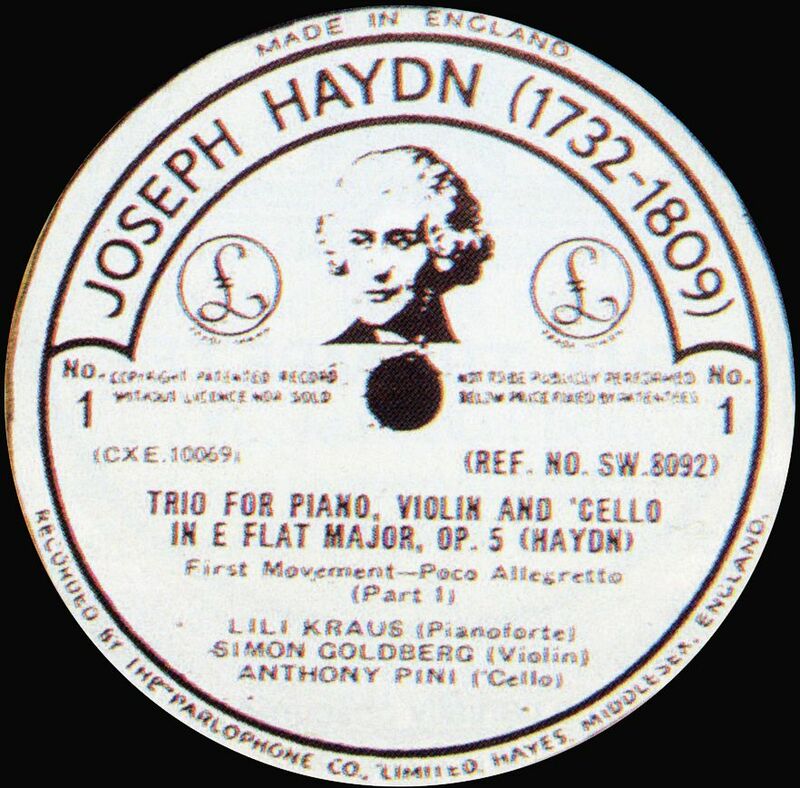 Joseph Haydn These records were recorded in August & September 1939 by Parlophone, for the Joseph Haydn Society. 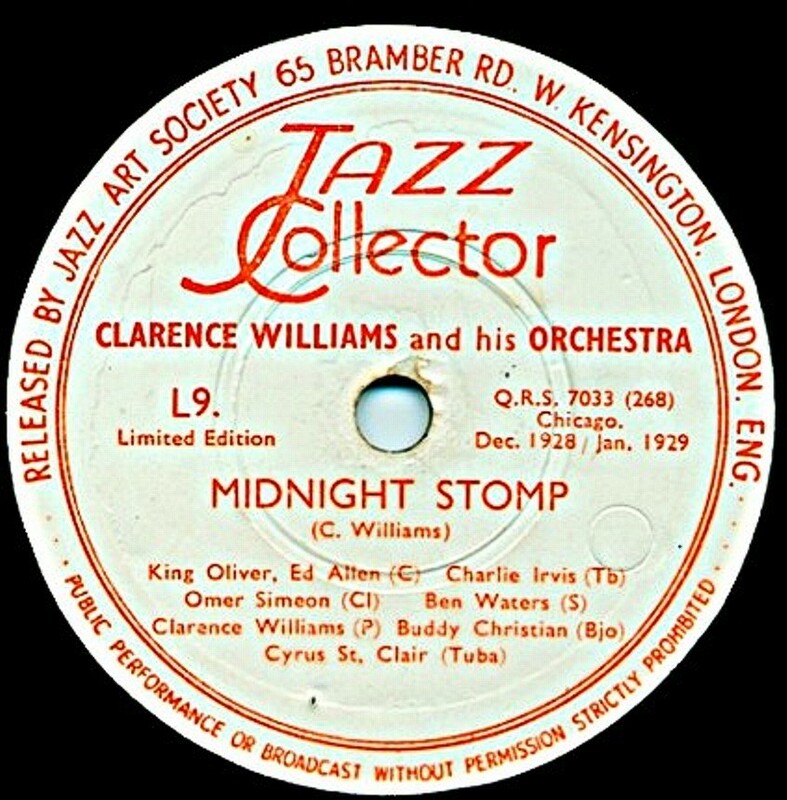 Six records of 12" size were produced and sold in an album amd were first issued in April 1940, remaining in the catalogue until early 1955. 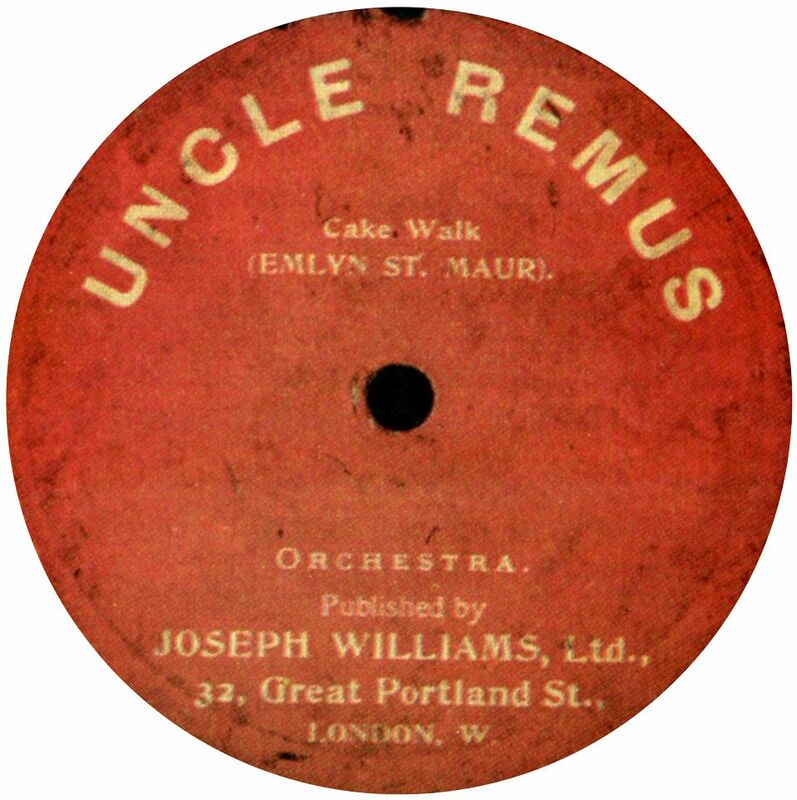 Joseph Williams Joseph Williams Ltd, of Great Portland Street, London were music publishers anmd some of their scores were use by The International Zonophone Company around 1901-04 for their recordings. To publicise this, the publishers hadf some records pressed with their own labels, as seen here. The records were single-sided, had no numbers and no reference to Zonophone at all on the label. The performers were also uncredited. 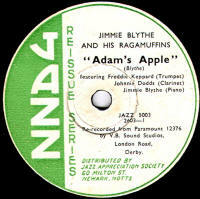 Joyphone Frank Andrews reports that a record sleeve for this label turned up in Australia. 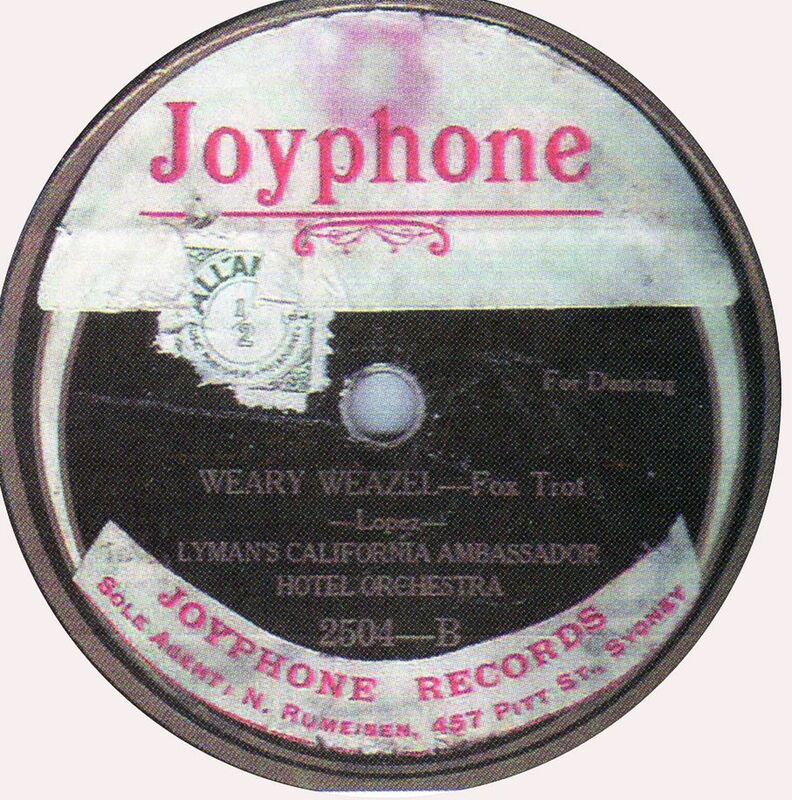 The name was first registered in Britain in 1926 by Frischers (Merchants) of Ropemaker Street London, to cover gramophones. It is not known if there is any link between the London registration and the Australian-found sleeve. Adam Miller (New Zealand) reports that the Joyphone records he's seen (see his image, right) were a partial paste over label stuck on American imports. I have not seen the sleeve which Frank Andrews refers to. but it would be useful to do so, as one could compare the design with that on the label Adam reports. 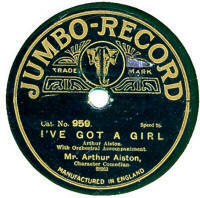 Jumbo The first Jumbo records appear in 1908, as a cheap equivalent to Fonotipia. The records were initially made in Germany, but subsequently pressed by Crystalate and later the Mead Works in Hertfordshire. Masters came from Fonotipia, Lindstrom and Beka. The catalogue numbering started at 1 (often not shown on the label initially, but stamped into the smooth area around the label) and ran up to about 1580 in 1919, when the label name was changed to Venus (q.v.). Jupiter It is thought that there were only 2 different Jupiter records issued, both by bass-baritone Charles Knowles, probably dating to the early 1920s. 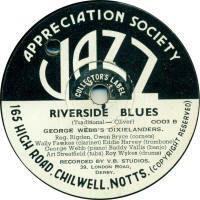 They were recorded by The Sound Recording Company, and pressed by Crystalate, and are believed to date from about 1924.